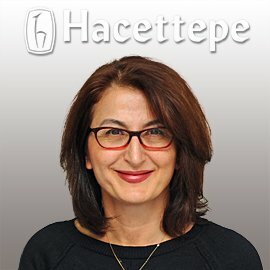 Hacettepe Üniversitesi, Tıp FakültesiRadyasyon Onkolojisi A.D.
Hacettepe Universitesi Tıp Fakültesi, Radyasyon Onkolojisi A.D.
Hacettepe Üniversitesi Tıp FakültesiRadyasyon Onkolojisi A.D.
1. Gultekin M, Yazici O, Eren G, Yuce D, Aksoy S, Ozisik Y, Guler N, Yazici G, Hurmuz P, Yildiz F, Altundag K, Gurkaynak M. Impact of locoregional treatment on survival in patients presented with metastatic breast carcinoma. Breast. 2014 Dec;23(6):775-83. 2. Yazici G, Cengiz M, Ozyigit G, Eren G, Yildiz F, Akyol F, Gurkaynak M, Zorlu F. Hypofractionated stereotactic reirradiation for recurrent glioblastoma. J Neurooncol. 2014 Oct;120(1):117-23. 3. Rahatli S, Dizdar O, Kucukoztas N, Oguz A, Yalcin S, Ozen O, Reyhan NH, Tarhan C, Yildiz F, Dursun P, Altundag O, Ayhan A. Good outcomes of patients with stage IB endometrial cancer with surgery alone. Asian Pac J Cancer Prev. 2014;15(9):3891-3. 4. Gultekin M, Eren G, Babacan T, Yildiz F, Altundag K, Guler N, Ozisik Y, Yazici G, Hurmuz P, Gurkaynak M. Metaplastic breast carcinoma: a heterogeneous disease. Asian Pac J Cancer Prev. 2014;15(6):2851-6. 5. Cabuk D, Gullu YT, Basyigit I, Acikgoz O, Uygun K, Yildiz K, Yildiz F. Multifocal extranodal involvement of diffuse large B-cell lymphoma.Case Rep Pulmonol. 2013;2013:794642. 6. Ozyigit G, Cengiz M, Hurmuz P, Yazici G, Gultekin M, Akyol F, Yildiz F, Gurkaynak M, Zorlu F.Robotic stereotactic radiosurgery in patients with nasal cavity and paranasal sinus tumors. Technol Cancer Res Treat. 2014 Oct;13(5):409-13. 7. Zorlu F, Gultekin M, Cengiz M, Yildiz F, Akyol F, Gurkaynak M, Ozyigit G. Fractionated stereotactic radiosurgery treatment results for skull base chordomas. Technol Cancer Res Treat. 2014 Feb;13(1):11-9. 8. Kucukoztas N, Dizdar O, Rahatli S, Dursun P, Yalcin S, Altundağ Ö, Ozen O, Reyhan NH, Tarhan C, Yildiz F, Ayhan A. 9. Hurmuz P, Cengiz M, Ozyigit G, Yazici G, Akyol F, Yildiz F, Gurkaynak M, Zorlu F. Robotic stereotactic radiosurgery in patients with unresectable glomus jugulare tumors. Technol Cancer Res Treat. 2013 Apr;12(2):109-13. 10. Gultekin M, Yildiz F, Ozyigit G, Beyaz H, Hayran M, Kose F, Yuce K, Ayhan A. Comparison of FIGO 1988 and 2009 staging systems for endometrial carcinoma. Med Oncol. 2012 Dec;29(4):2955-62. 12. Atahan L, Yıldız F, Cengiz M, Kaplan B, Ozkan M, Yazici G, Gündoğ M, Haydaroğlu A, Korcum AF, Sengöz M, Dinçer M, Akmansu M, Engin K, Hayran M.
13. Zoledronic acid concurrent with either high- or reduced-dose palliative radiotherapy in the management of the breast cancer patients with bone metastases: a phase IV randomized clinical study. Support Care Cancer. 2009 May 31. [Epub ahead of print]. 15. Atahan IL, Ozyar E, Yildiz F, Ozyigit G, Genc M, Ulger S, Usubutun A, Köse F, Yuce K, Ayhan A. Vaginal high dose rate brachytherapy alone in patients with intermediate- to high-risk stage I endometrial carcinoma after radical surgery.Int J Gynecol Cancer. 2008 Nov-Dec;18(6):1294-9. 16. Goldberg H, Miller RC, Abdah-Bortnyak R, Steiner M, Yildiz F, Meirovitz A, Villà S, Poortmans PM, Azria D, Zidan J, Ozsahin M, Abacioglu U, Gold DG, Amit A, Lavie O, Atahan IL, Kuten A; Rare Cancer Network. Outcome after combined modality treatment for uterine papillary serous carcinoma: a study by the Rare Cancer Network (RCN).Gynecol Oncol. 2008 Feb;108(2):298-305. 17. Gultekin M, Selek U, Ozyigit G, Cengiz M, Yavas O, Yildiz F.Boost dose back again in elderly.J Clin Oncol. 2007 Dec 20;25(36):5843-4. 18. Lale Atahan I, Yildiz F, Ozyigit G, Sari S, Gurkaynak M, Selek U, Hayran M.Percent positive axillary lymph node metastasis predicts survival in patients with non-metastatic breast cancer. Acta Oncol. 2008;47(2):232-8. 19. Cengiz M, Yildiz F, Selek U, Ozyigit G.Comment on "computed tomography versus magnetic resonance imaging-based contouring in cervical cancer brachtherapy: results of a prospective trial and preliminary guidelines for standardized contours" by Viswanathan et Al. (Int j radiat oncol biol phys 2007;68:491-498, 2007). Int J Radiat Oncol Biol Phys. 2007 Nov 1;69(3):963; author reply 963-4. 20. Yazici G, Selek U, Yildiz F, Ozyigit G, Cengiz M. Is mastectomy superior to breast-conserving treatment for young women? In regard to Coulombe et Al. (Int j radiat oncol biol phys 2007;67:1282-1290). Int J Radiat Oncol Biol Phys. 2007 Oct 1;69(2):640; author reply 640. 21. Cengiz M, Gürdalli S, Selek U, Yildiz F, Saglam Y, Ozyar E, Atahan IL. Effect of bladder distension on dose distribution of intracavitary brachytherapy for cervical cancer: three-dimensional computed tomography plan evaluation. Int J Radiat Oncol Biol Phys. 2008 Feb 1;70(2):464-8. 22. Yildiz F, Atahan IL, Ozyar E, Karcaaltincaba M, Cengiz M, Ozyigit G, Aydin A, Usubütün A, Ayhan A. Radiotherapy in congenital vulvar lymphangioma circumscriptum.Int J Gynecol Cancer. 2008 May-Jun;18(3):556-9. 23. Ozyigit G, Selek U, Cengiz M, Yildiz F. Comment on "Cranial location of level II lymph nodes in laryngeal cancer: implications for elective nodal target volume delineation": in regard to Braam et al. (Int J Radiat Oncol Biol Phys 2007;67:462-468).Int J Radiat Oncol Biol Phys. 2007 Aug 1;68(5):1582-3. 24. Ulger S, Ulger Z, Yildiz F, Ozyar E. Incidence of hypothyroidism after radiotherapy for nasopharyngeal carcinoma. Med Oncol. 2007;24(1):91-4. 25. Atahan IL, Yildiz F, Ozyar E, Pehlivan B, Genc M, Kose MF, Tulunay G, Ayhan A, Yuce K, Guler N, Kucukali T. Radiotherapy in the adjuvant setting of cervical carcinoma: treatment, results, and prognostic factors. Int J Gynecol Cancer. 2007 Jul-Aug;17(4):813-20. 26. Cengiz M, Cetin E, Yildiz F, Selek U, Aydinkarahaliloglu E.Change in blood chemistry may explain higher toxicity of total body irradiation for bone marrow transplantation. Med Hypotheses. 2007;68(3):554-7. 27. Yildiz F, Genc M, Akyurek S, Cengiz M, Ozyar E, Selek U, Atahan IL. Radiotherapy in the management of Kaposi's sarcoma: comparison of 8 Gy versus 6 Gy. J Natl Med Assoc. 2006 Jul;98(7):1136-9. 28. Yazici G, Yildiz F, Cengiz M, Ozyigit G, Selek U, Genç M, Atahan IL. Use of CT simulation for treatment of cervical cancer to assess the adequacy of lymph node coverage of conventional pelvic fields based on bony landmarks: In regard to Finlay et al. (Int J Radiat Oncol Biol Phys 2006;64:205-209). Int J Radiat Oncol Biol Phys. 2006 Aug 1;65(5):1594. 29. Atahan L, Yildiz F, Selek U, Sari S, Gurkaynak M. Postoperative radiotherapy in the treatment of male breast carcinoma: a single institute experience. J Natl Med Assoc. 2006 Apr;98(4):559-63. 30. Yildiz F, Yilmaz M, Cengiz M, Gurkaynak M, Cila AN, Dogan AI, Atahan IL. Radiotherapy in the management of Klippel-Trenaunay-Weber syndrome: report of two cases. Ann Vasc Surg. 2005 Jul;19(4):566-71. 31. Akyurek S, Yildiz F, Cengiz M, Onal C, Yildiz O, Genc M, Atahan IL. Importance of timing of antiaggregant treatment in the prevention of radiation induced enteropathy. Med Hypotheses. 2005;65(4):736-9. 32. Selek U, Cengiz M, Ozyigit G, Yildiz F, Lale Atahan I. Comment on: "HIV infection and invasive cervical cancers, treatment with radiation therapy: toxicity and outcome" [Radiother Oncol 2005;74:31-35, Shrivastava et al.]. Radiother Oncol. 2005 Jul;76(1):107-108. 33. Cengiz M, Selek U, Genc M, Aydinkarahaliloglu E, Yildiz F. Comment on "Correlation between the treated volume, the GTV and the CTV at the time of brachytherapy and histopathologic findings in 33 patients with operable cervix carcinoma". Radiother Oncol. 2005 Jun;75(3):367-8; author reply 368-9. 34. Ozyigit G, Selek U, Cengiz M, Yildiz F. Ozyigit G, Selek U, Cengiz M, Yildiz F Comment on: "Target dose conformity in 3-dimensional conformal radiotherapy and intensity modulated radiotherapy" Wu et al. [Radiother Oncol 2004; 71:201-206]. Radiother Oncol. 2005 Jan;74(1):78; author reply 78-9. 35. Cengiz M, Selek U, Yildiz F, Sari S. Comment on: "Escalated hyperfractionated accelerated radiation therapy for locally advanced non-small cell lung cancer: a clinical Phase II trial" Radiother Oncol 71(2):157-162, 2004 by Dr.Chenetal. Radiother Oncol. 2005 Jan;74(1):76-7; author reply 77-8. 36. Yildiz F, Kars A, Cengiz M, Yildiz O, Akyurek S, Selek U, Ozyigit G, Atahan IL. 1,25-Dihydroxy vitamin D3: can it be an effective therapeutic option for aggressive fibromatosis. Med Hypotheses. 2005;64(2):333-6. 37. Ferah Y, Ayse K, Mustafa C, Ugur S, Murat G, Lale IA. Possible therapeutic role of vitamin D3 in aggressive fibromatosis. Jpn J Clin Oncol. 2004 Aug;34(8):472-5. 38. Yildiz F, Zengin N, Engin H, Gullu I, Barista I, Caglar M, Ozyar E, CengizM, Gurkaynak M, Zorlu F, Caner B, Atahan IL, Tekuzman G.
39. Prospective study of combined modality treatment or radiotherapy alone in the management of early-stage adult Hodgkin's disease. Int J Radiat Oncol Biol Phys. 2004 Nov 1;60(3):839-46. 40. Cengiz M, Onal C, Yildiz F, Zorlu AF. Comment on: 'Serious adverse effects of amifostine during radiotherapy in head and neck cancer patients' Radiother Oncol 70: 261-264, 2004 by Dr Rades et al. Radiother Oncol. 2004 Oct;73(1):109; author reply 109-10. 41. Ozyar E, Gurkaynak M, Yildiz F, Atahan IL. Non-metastatic stage IV nasopharyngeal carcinoma patients: analysis of the pattern of relapse and survival.Radiother Oncol. 2004 Jul;72(1):71-7. 42. Gurkaynak M, Akyol F, Zorlu F, Akyurek S, Yildiz F, Atahan IL. Stage I testicular seminoma: para-aortic and iliac irradiation with reduced dose after orchiectomy. Urol Int. 2003;71(4):385-8. 43. Cengiz M, Gurkaynak M, Vural H, Aksoy N, Cengiz B, Yildiz F, Atahan IL. Tissue trace element change after total body irradiation. Nephron Exp Nephrol. 2003;94(1):12-6. 44. Zorlu F, Yildiz F, Ertoy D, Atahan IL, Erden E. Dermatofibrosarcoma protuberans metastasizing to cavernous sinuses and lungs: a case report. Jpn J Clin Oncol. 2001 Nov;31(11):557-61. 45. Zorlu F, Gurkaynak M, Yildiz F, Oge K, Atahan IL. Conventional external radiotherapy in the management of clivus chordomas with overt residual disease.Neurol Sci. 2000 Aug;21(4):203-7. Two cases of Stevens-Johnson syndrome: toxic epidermal necrolysis possibly induced by amifostine during radiotherapy. Br J Dermatol. 2000 Nov;143(5):1072-3. 47. Yildiz F, Atahan II, Yildiz O. Radiation nephropathy in rats and its modification by the angiotensin converting enzyme inhibitor enalapril. Radiat Med. 2000 May-Jun;18(3):153-9. 48. Yildiz F, Perez R, Redpath JL. Paclitaxel exposure time determines the nature of the interaction with radiation in HeLa cells. the role of apoptosis. Eur J Cancer. 2000 Jul;36(11):1426-32. 49. Yildiz F, Zorlu F, Erbas T, Atahan L. Radiotherapy in the management of giant pituitary adenomas. Radiother Oncol. 1999 Sep;52(3):233-7. Ozyar E, Yildiz F, Akyol FH, Atahan IL. Comparison of AJCC 1988 and 1997 classifications for nasopharyngeal carcinoma. American Joint Committee on Cancer.Int J Radiat Oncol Biol Phys. 1999 Jul 15;44(5):1079-87. 50. Atahan IL, Yildiz F, Ozyar E, Uzal D. Thyroid dysfunction in children receiving neck irradiation for Hodgkin's disease. Radiat Med. 1998 Sep-Oct;16(5):359-61. 51. Cengiz M, Yildiz F, Genc M. Cetuximab plus radiotherapy for head and neck cancer. N Engl J Med. 2006 May 18;354(20):2187; author reply 2187. 52. Akyurek S, Atahan L, Cengiz M, Sokmensuer C, Haberal I, Yildiz F, Onal C. Effect of ticlopidine in the prevention of radiation enteropathy. Br J Radiol. 2006 May;79(941):409-14.